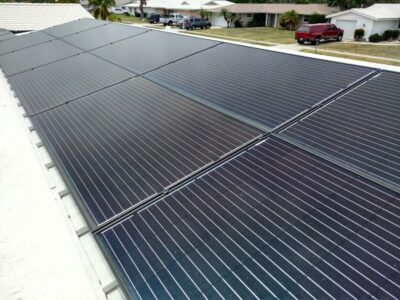 The Sarasota SUN FL Solar Co-op is now officially open. Solar United Neighbors is a non-profit that helps homeowners and small business​es​ go solar. There is no obligation or cost to join. We purchased solar before the first Sarasota [Solar] co-op was available. It would have saved us the hassle of becoming solar ‘experts’ and interviewing numerous vendors. The co-op does that part for you AND saves money. The Process was simple and our loan from First Green Bank can be paid off early without penalty. The Co-op vets the installers and negotiates the pricing for you. We love our Solar system.